As one of Central London’s leading Spa & Beauty Salons, Primas award winning services have lead to their expansion in 2016. 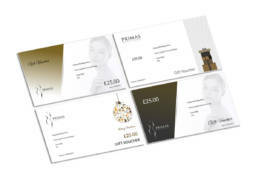 The growth of Primas has led to increased sales and a heavy demand placed on the team through their manual voucher system, so they reached out to VoucherCart to provide a reliable automated gift card solution for the business. We’re delighted to have been able to deliver a hands-free solution for Primas and welcome them as a valued new customer.